“Have you traced a ray today?” This quote is posted in bold letters on my door at work, reminding me each day when I arrive to keep exercising the fundamentals, especially when time pressures from managers and customers interfere with any attempt at keeping a daily routine. Taken literally, one might think I’m suggesting the use of a slide rule or some other hand calculation to brute force the geometric trajectory of light through an optical system. But the reminder to me is a more general suggestion to practice the fundamentals, to not forget the basics of my profession, and to remember where I started my career as an optical engineer. I first visited the Institute of Optics as a “prospective” PhD student in April of 1994, just after finishing a several-month deployment to the Caribbean on the USS Hammerhead, where I was completing my service as a submarine officer in the Navy. It was an eye-opener to fly in from the blooming azaleas of southern Virginia to the eight-inch deep snow of Rochester, but the weekend visit was unforgettable to me because the optics students in Rochester were happy. This was either due to the generous funding of the various receptions held for the prospective students or more likely due to what I observed at the time from visiting several universities: optics graduates were finding greatest success when it came to job placement. This fact was enough persuasion for me to “choose light,” so I found myself in the dark winters for the next five years on the northern shore of the United States. I chose to concentrate on optical design of reflective systems . . . and I loved it. Geometrical optics is one of the first courses we take at the institute, and it is arguably the most used after graduation. Sooner or later, no matter what our optics specialty, most of us will end up tracing rays at some point in our career. 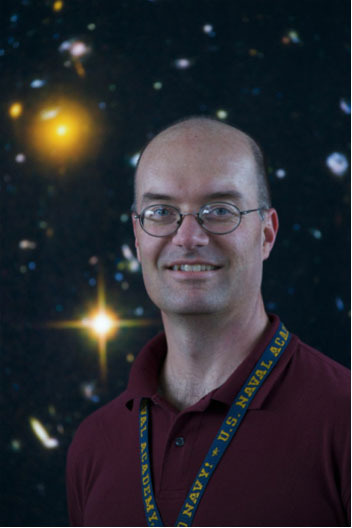 Since graduating, I have relocated to Washington, D.C., to work for the federal government but as an optical engineer for a much smaller agency than the Navy. Like my choice for graduate school, I selected my new employer, NASA, because the people there were happy, and the agency generally had a reputation for very high morale . . . and there are quite a few other alumni here! 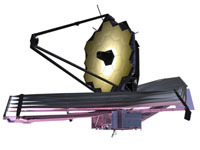 Since joining in 1999, I’ve been primarily working on the James Webb Space Telescope (JWST) project, the successor to the Hubble Space Telescope, where I’ve contributed optical design and analysis to a large team of multidisciplinary engineers working to make the largest space-based astronomical observatory ever. Space-flight projects take time to design, integrate, and test, and when this telescope launches in 2018, I will have worked for a full 20 years on this one alone—about half a career! While the pace appears slow, the layers of details are significant, so there’s always something new to learn. While JWST dominates my time, I make the effort to keep balanced professionally by contributing to our broader optical engineering community through volunteering to societies such as OSA and SPIE by presenting at conferences, peer-reviewing papers, and participating in committee work. These efforts keep me connected to my peers and help prevent me from intellectual stagnation. I also greatly enjoy mentoring interns and co-op students that I’ve recruited from The Institute of Optics, often with the help and recommendations from my former colleagues and friends still in Rochester. I’ve even been successful at helping get a few of them hired here at NASA.